The Terminal Classic period in Mesoamerica between c. 800 and 925 CE saw one of the most dramatic civilization collapses in history. Within a century or so the flourishing Classic Maya civilization fell into a permanent decline, so that once great cities were abandoned and left to ruin, in many cases, to be reclaimed by the jungle and so disappear from human memory for centuries. Some northern Maya cities, conversely, prospered like never before in this period, as did the Maya along the Gulf Coast and central highlands of Mexico; however, for the majority of the Maya in the southern lowlands, the period was nothing short of disaster and, as the historian M.E. Coe describes, 'This was surely one of the most profound social and demographic catastrophes of all human history'. 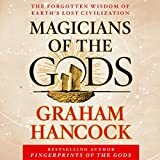 The question, then, which has preoccupied scholars ever since the re-discovery in the 19th century CE of mysterious ruins built by, at the time, an equally mysterious civilization, is why did this happen? Below are some of the reasons presented by historians today as to just what caused such a dramatic reversal in fortunes. Early in the study of the Maya collapse all manner of theories were presented as to what exactly had happened, some more plausible than others. Disease, a social revolution, drought, famine, foreign invasion, over-population, disruption in trade routes, earthquakes, and even hurricanes were held responsible. Unfortunately, the inscriptions left by the Maya themselves are strangely silent on the topic. To find the answer, then, we must reconstruct the past starting with what we do know. From the mid to late 8th century CE, relations between city-states deteriorated. There was a decline in trade and an increase in armed conflicts. We know that the death-rate increased in this period, and from 830 CE no new buildings were constructed in the central Maya area. As the Maya were fond of writing dates on their monuments and stelae, it is interesting to note that no dates after c. 910 CE are seen in the lowlands sites. From the mid to late 8th century CE relations between city-states deteriorated. There was a decline in trade and an increase in armed conflicts. We also have evidence of large areas becoming completely depopulated and royal dynasties and elites disappearing without trace. Finally, we can say that the collapse was neither unique - smaller scale abandonment of Maya cities had occurred several times before over the centuries - nor was it a sudden one but rather a process of decline which occurred over a period of 150 years between c. 760 and c. 910 CE. Such a slow decline would seem to cross off the list disease pandemics and natural disasters, like earthquakes, as factors in the collapse. Further, in both these cases populations tend to recover relatively quickly, whereas the Maya lowlands were never significantly re-populated. Then we must also consider what we do not know about the Maya civilization, as different guesses and interpretations of these points can colour the reasons proposed for the collapse. We do not know with any great accuracy the population figures in the Late Classic period. Nor do we know exactly how the Maya farmed, how agricultural production was managed and controlled, or whether trade of this produce was local, regional, or even cross-cultural. These are the facts of the matter and the latest state of knowledge on the subject; now let us examine the various theories of how the Maya arrived at this situation. What Causes Civilizations to Collapse? Firstly, it has been fruitful to note the process of collapse in other civilizations, such as the Roman Empire. Differences in time, geography, and circumstances mean no direct correlations are possible, but the outstanding point of similarity is that no single factor accounts for a large civilization's collapse. Perhaps another similarity in the complex process which brought the downfall of other empires is the general disregard of rulers for the resources at their disposal and the long-term welfare of the people they ruled. Was this also the case with the Maya? The period prior to the Maya collapse is certainly characterised by extravagant building projects, unproductive wars, and over-exploitation of natural resources, especially land, forests, and water. An ever increasing population may well have driven the Maya to deforest areas which were subsequently eroded. One case which points to the running out of resources is the curious change in wood used in Maya buildings. Sapodilla was the architect's choice prior to the 740s CE for such details as lintels but was then replaced by the inferior wood of the smaller logwood tree. Sapodilla did make something of a comeback, but beams were never the thickness as previously. Had the Maya exhausted their supply of Sapodilla? Had the tree recovered over time or did the Maya even establish protected areas to specifically cultivate the tree? Maya historians have generally settled on a combination of three main factors which could have caused the Maya collapse: warfare between city-states, overpopulation, and drought. The factors were not always contemporary or found all together in a single city. Warfare had been a part of Maya culture for centuries, but its intensification and scale increased prior to the collapse so that cities began to build fortifications. Previously, warfare had often been token, in that defeat might result in only a small number of important figures being taken as captives. By the Late Classic period, war seems to have been much more damaging to all involved. The conquest of territory and the capturing of a large number of sacrificial victims now became a priority - the former perhaps to increase agricultural production and acquire resources and the latter to appease the gods and return to the more stable times of earlier centuries. The presence of large numbers of arrow heads at certain sites is further evidence that life in the cities was becoming more precarious. There may also have been a military threat from foreign states. Supporting the invasion theory are several archaeological finds, notably at Ceibal where a figure known as 'Wat'ul' is depicted who has a distinctly non-Maya moustache and hairstyle but who is wearing Maya costume; stelae with glyphs which are not Mayan; a figure in a mask of Ehecatl; the wind god of central Mexico; and the presence of Fine Orange pottery from the Gulf coast. However, such evidence seems sparse to what one would expect to find if the collapse were down to foreign invasion and, significantly, few cities display evidence of deliberate destruction. Over-population may well have put an unbearable strain on the agricultural production the Maya were capable of managing. Ever more archaeological evidence shows that Maya cities and peripheral settlements were much more heavily populated than previously imagined. Even worse, scientific evidence clearly indicates that the Maya lowlands suffered a sustained series of droughts between c. 800 and c. 1050 CE. However, it should be noted that not all cities suffered from droughts, as some lakes and rivers never dried up completely. For those regions which did suffer a water shortage, the lack of rain and repeated crop failures make it entirely conceivable that either the lower levels of society - 90% of the population were farmers - or perhaps more likely, non-ruling elites, rebelled against the ruling class, who could no longer justify their role as protectors of society and intermediaries with the gods such as Chahk the rain god. With the consequent collapse of the social structure and city infrastructure, those who could may well have migrated to the north and south and the early Colonial chronicles written in Yucatan Mayan do indeed describe a 'Great Descent' and a 'Lesser Descent'. There is no archaeological record of such a large population movement, only that after the collapse, the 60,000 square miles of the Maya lowlands was deserted. The most reasonable explanation, then, for the Classic Maya collapse is a combination of inter-connected factors. Warfare, social disorder, over-population, and unfavourable climatic conditions combined, perhaps not all together and in varying degrees and with different timing and sequence depending on location, to bring an end to the established order of the southern Maya lowlands. As already stated, the Classic Maya collapse was not the end of the Maya culture. Northern cities and those in the highlands of Mexico and Guatemala survived up to the Spanish Conquest, and even today seven million people speak Mayan in Mesoamerica. The Maya culture suffered a terrible blow, but it did not disappear completely. In the power vacuum and general social upheaval left by the collapse, one group seized the opportunity to achieve regional dominance: this was the Toltec civilization, and it was they who would pass on the baton of Mesoamerican culture which had begun with the Olmec, been perfected by the Maya, and would end with the Aztecs. Nichols et al. The Oxford Handbook of Mesoamerican Archaeology. (Oxford University Press, 2012). Cartwright, Mark. "The Classic Maya Collapse." Ancient History Encyclopedia. Last modified October 18, 2014. https://www.ancient.eu/article/759/. Cartwright, Mark. "The Classic Maya Collapse." Ancient History Encyclopedia. Ancient History Encyclopedia, 18 Oct 2014. Web. 21 Apr 2019. Submitted by Mark Cartwright, published on 18 October 2014 under the following license: Creative Commons: Attribution-NonCommercial-ShareAlike. This license lets others remix, tweak, and build upon this content non-commercially, as long as they credit the author and license their new creations under the identical terms. Please note that content linked from this page may have different licensing terms.